The Association of Aerospace Industries (Singapore) (AAIS) and the Malaysia Aerospace Industry Association (MAIA) signed a Memorandum of Cooperation on 7 November 2018, to promote and facilitate more business activities and collaboration between members of both parties. The Memorandum was signed on the side lines of Aviation Week’s Commercial Aviation Services Asia-Pacific conference and exhibition, which was held from 6 to 8 November at the Singapore Expo. At the signing ceremony, AAIS was represented by its Chief Executive Mr Sia Kheng Yok, and MAIA by its Deputy President, Datuk Zulkarnain Mohamed, who is also Senior Director of Operations at Spirit Aerosystems (Malaysia). The signing was witnessed by members of both Associations. The agreement promotes the exchange of information on aerospace businesses and capabilities, facilitation of industry study visits and business missions, networking opportunities, as well as mutual invitations to industry events. Emphasis was also placed upon the exchange of knowledge and expertise related to training and human resource development, to promote the continuous improvement of the aerospace talent pool. 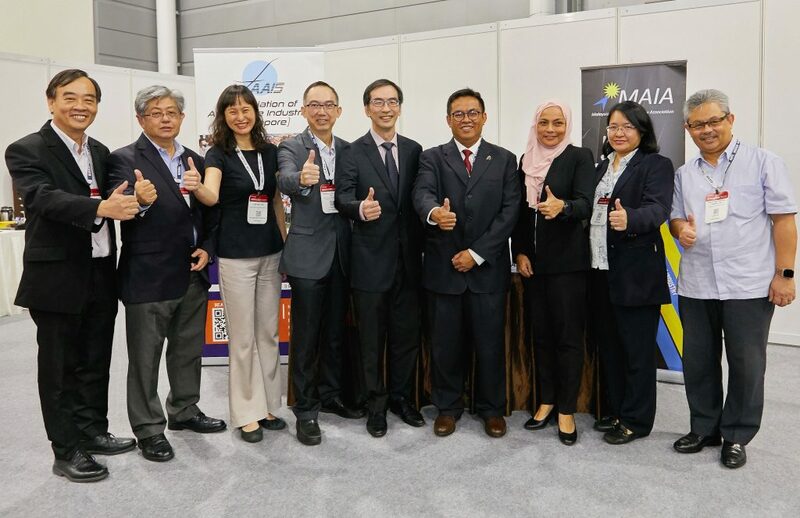 Following the signing of the AAIS-MAIA MOC, AAIS member Transfingo Pte Ltd sealed and announced its partnership with MAIA member Dviation Holdings Ltd to form a new joint venture. The new Singapore incorporated entity aims to promote the development of the local Aviation industry by providing training and human capital related services.